China has deployed eight buoys in waters near the submerged rocks of Ieo close to Korea's provisional maritime zone, to which it lays claim. 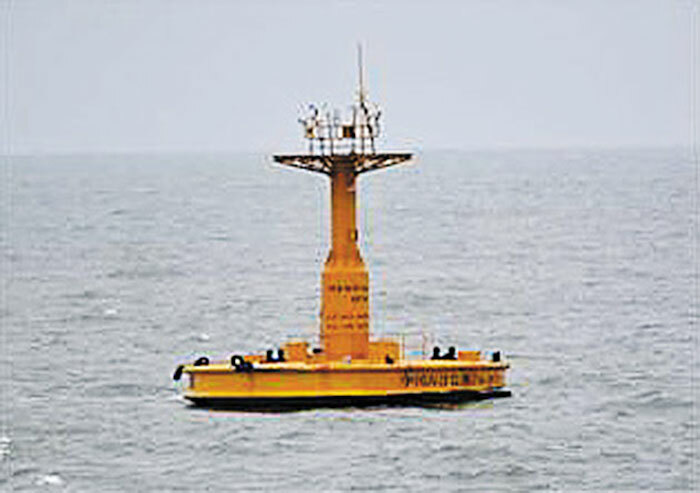 The first Chinese buoy was discovered on the open seas west of Baeknyeong Island in 2014. According to Navy data, China set up five orange 3 m by 6 m buoys near Ieo Island this year labeled "Chinese maritime observation markers" in Chinese. The aim may be to claim maritime rights or gain the upper hand in negotiations to revise exclusive economic zones with neighboring countries. They could also possibly have a military purpose. Four of them appear to have been set up in the Chinese Navy's operational waters. 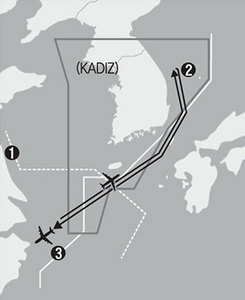 Yun Duk-min, a former chief of the Korea National Diplomatic Academy, said, "China has been stepping up military activities in Asia and the Pacific and may have set up the buoys to monitor Korean, U.S. and Japanese submarines and vessels." China has been operating a state-of-the-art device to detect sonar signals in the West Pacific and South China Sea since 2016 in order to track U.S. submarine activities.